What's the go with SIBO??? 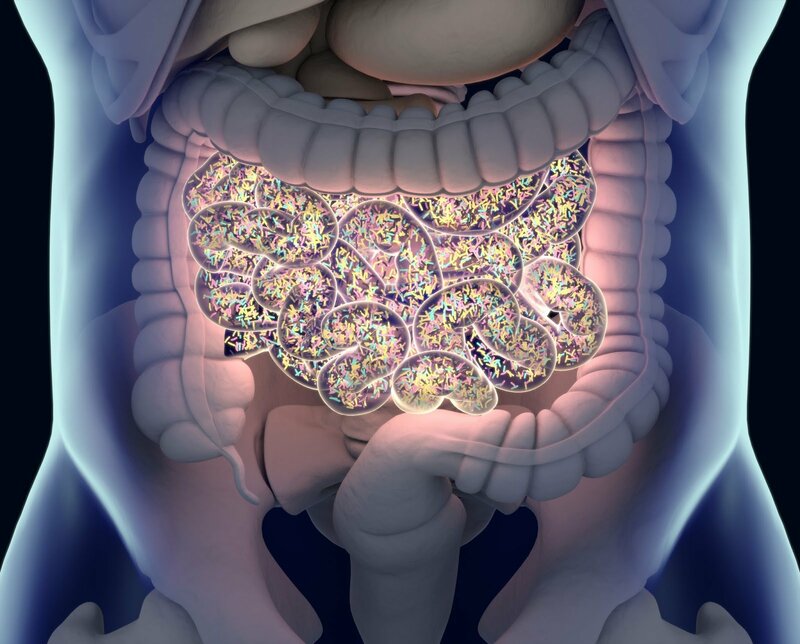 Small intestinal bacterial overgrowth (better known as SIBO) is gaining more and more attention as a potential cause of gut symptoms in at least a subset (4-78%) of IBS patients (1-2). But what is SIBO? And what exactly do we know about the relationship between SIBO and IBS? SIBO, as the acronym suggests, it is a condition diagnosed when an ‘overgrowth’ of bacteria are present in the small intestine. Typically, the small intestine is resident to only small numbers of bacteria, so when an abnormally high number accumulate, this is thought to lead to IBS-like symptoms such as bloating, abdominal pain and diarrhoea - which may occur soon after eating a meal (1-2). The best method to diagnose SIBO is via sampling fluid from the small intestine itself (jejunal aspirate) and growing the bacteria found in this fluid to estimate if a very high number of bacteria are present. Whilst this is the most accurate diagnostic test for SIBO, it is quite invasive, so is rarely used in clinical practice (1-2). Hydrogen breath testing is an alternative, non-invasive method for identifying SIBO that is now popular in clinical practice. Two different types of breath tests for SIBO are available (glucose or lactulose), however both methods have considerable diagnostic limitations. Unfortunately, both of these tests lack sensitivity and specificity, meaning that there is considerable chance of getting a false positive or false negative result (1-2). Additionally, testing centres may use different testing procedures or criteria for a SIBO diagnosis, adding to the confusion. How should SIBO be treated? The majority of studies to date have investigated the use of different antibiotics to treat SIBO, with variable results. The most promising antibiotic therapy studied so far seems to be rifaximin, which is a non-absorbable drug that works predominantly in the gut (1-3). However, more research is required to determine exactly how rifaximin works, optimal dosing and whether repeated treatment courses are useful for patients with recurring symptoms (3). Probiotic formulations have also been studied as a treatment for IBS patients with evidence of SIBO, however so far only a handful of high quality studies are available with variable results (1-2). Of note, preliminary studies have shown that probiotics may enhance the effectiveness of rifaximin treatment, suggesting that combination therapy may be useful and is an interesting area for future research (1). A low FODMAP diet is also sometimes recommended following antibiotic treatment for SIBO in order to prevent re-occurrence (1). This is based on the idea that a low FODMAP diet reduces consumption of fermentable carbohydrates, essentially helping to ‘starve out’ any excess bacteria that may take up residence in the small intestine. Unfortunately, studies are not yet available to either confirm or deny this theory (1). Other dietary therapies have also been proposed, such as the elemental diet, the specific carbohydrate diet and the GAPS diet, however so far these strategies are only supported by anecdotal evidence or single studies. The SIBO-IBS relationship remains elusive (1-2) - further research is required to determine better and more accurate ways to diagnose SIBO and set standards for what is ‘normal’ and ‘abnormal’ when it comes to bacteria in the small intestine (both the number and species present). Currently, the antibiotic rifaximin appears to be the most effective treatment for SIBO (1-3), however more high quality research is needed to determine how best to use this medication. Dietary therapies for SIBO are only just beginning to be explored and more research is needed before they should be routinely recommended. If you are concerned that you may suffer from SIBO, speak to your doctor, gastroenterologist or dietitian today about current testing and treatment options available. Ghoshal UC, Shukla R, Ghoshal U. Small Intestinal Bacterial Overgrowth and Irritable Bowel Syndrome: A Bridge between Functional Organic Dichotomy. Gut and Liver. 2017;11(2):196-208. Aziz I, Tornblom H, Simren M. Small intestinal bacterial overgrowth as a cause for irritable bowel syndrome: guilty or not guilty? Current opinion in gastroenterology. 2017;33(3):196-202. Gatta L, Scarpignato C, McCallum RW, Lombardo L, Pimentel M, D'Incà R, et al. Systematic review with meta‐analysis: rifaximin is effective and safe for the treatment of small intestine bacterial overgrowth. Alimentary Pharmacology & Therapeutics. 2017;45(5):604-16.